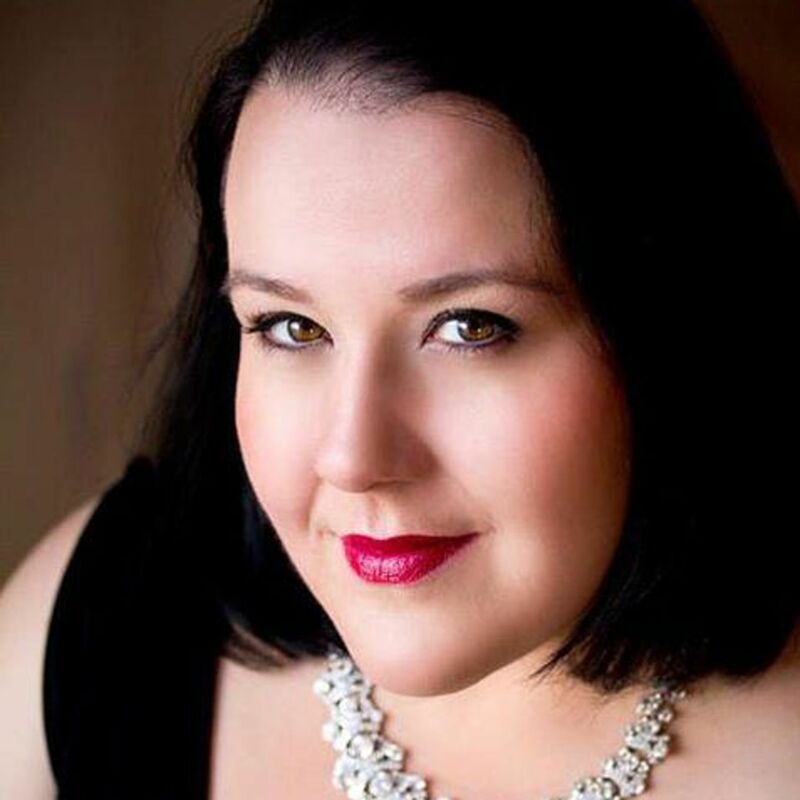 With her “strong chest register” and “wonderful high notes” Kristine Dandavino brings “extraordinary passion” to her portrayals across the mezzo-soprano repertoire of Verdi and Wagner. “Rarely does an audience get to see and hear a performer who can match her singing with acting skills like she does. ” says Sybille Forster-Rentmeister of Dandavino’s “brilliantly sung” Azucena. For her Ortrud in Lohengrin, Ms. Dandavino was praised for having a “phenomenal voice” and “injecting her performance with the full dramatic flair of her malevolent, vindictive character”. Ms. Dandavino also possesses the “restrained subtlety” required for her “thrilling… generous voice” to navigate the bel canto repertoire. Other performances for the 2014-2015 season include La Frugola in Il Tabarro with the Cathedral Bluffs Symphony, Marguerite in La Damnation de Faust with Opera Tunities Ottawa, a solo recital with the Off-Concert Series JMC, and appearances with the Etobicoke Philharmonic, and Opera By Request as the also soloist in Beethoven’s Ninth Symphony and Das Lied von der Erde, respectively. In the 2013 -2013 season, she thrilled audiences with her “startlingly powerful” Azucena with Opera York and “vivid portrayal” of Chimène in Toronto Opera Collaborative’s concert version of the rarely heard Massenet masterpiece Le Cid. Other career highlights include Ortrud in Lohengrin and Santuzza in Cavalleria rusticana with Toronto’s Opera by Request, Leonore in Fidelio with Toronto Opera Collaborative, where she stepped into the role on short notice and was praised for her “star power” and “wide range of emotions”, Madame Flora in The Medium with Festival Orford, and Magda Sorel in The Consul with Tryptych Opera. Ms. Dandavino has also appeared as a soloist in works such as the Beethoven Ninth Symphony, Elijah, and the Bach Magnificat with a variety of organizations such as the Ontario Philharmonic Orchestra and the Durham Philharmonic Choir. Additionally, her voice is featured in Lois Alba’s book/CD Vocal Rescue: Rediscover the Beauty, Power and Freedom in Your Singing. She is the founder and director of Opera Oshawa, as well as a graduate of the University of Ottawa and a student of Susan Eichhorn Young. She resides in Oshawa with her husband, David Lee, and their daughter Zoe.